Tom Cruise is undoubtedly one of Hollywood's biggest stars and of the most powerful actors of his generation. He became a star in his first film, Risky Business, before he was 21. His later career has seen a stellar rise to fame, through films such as Top Gun, Rain Man, Jerry Maguire, and Mission Impossible. But he is equally well known for his rocky personal life and most lately, his controversial attachment to Scientology. And it has lately seemed, with his highly-publicized on- and off-screen romances, that the divide between screen and real life has become increasingly narrow. In this book, acclaimed film critic Iain Johnstone tells the story of both the man and his work. 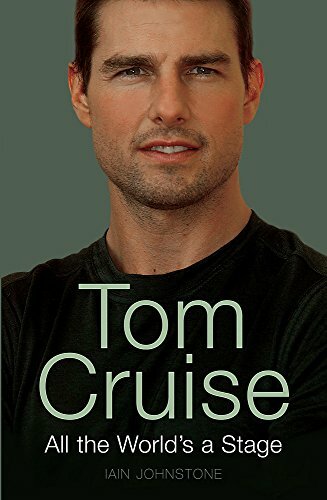 This is the inside story of the making of Tom Cruise the Hollywood legend, his extraordinary achievements and how Tom's onscreen life is formed by his personal experiences—or is it the other way around? This is a pacey, entertaining, and insightful biography of one of the most iconic stars of our day. Iain is the author of eight previous books, was film critic for the Sunday Times for seven years and has worked with a number of the major stars and directors in Hollywood, including Steven Spielberg on WAR OF THE WORLDS.